Testing an offer is very simple and can determine if the offer you created is working as intended! 1. Click on the Actions button next to the offer you want to check and then click on Test. 2. Click on the Go to product link that appears on the next page. 3. 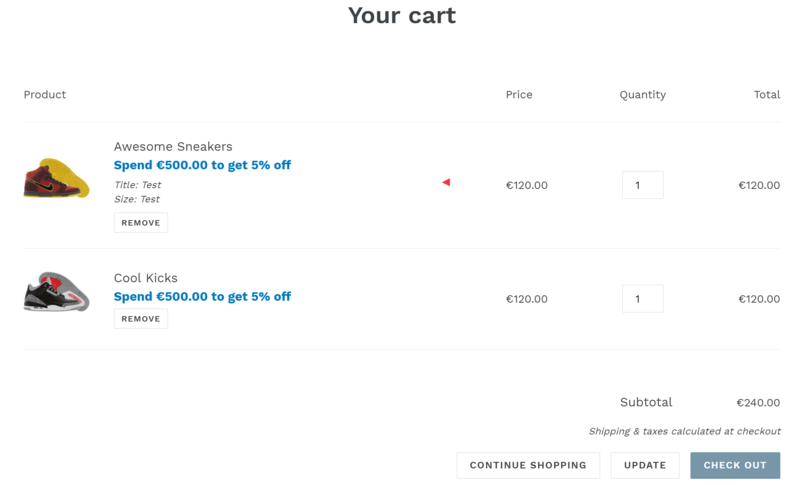 From there, you can add the quantities required to test the product based on your settings and view the messages that appear if it's successfully added to the cart or not. If you need help, please click Contact Us below!